Sometimes, during Winter, we can’t do anything else but thinking about the long summer days (and nights), having drinks on Nakar’s rooftop, spending all day on the beach… but you can stop wining and thinking about those days, because you’re still on Mallorca! 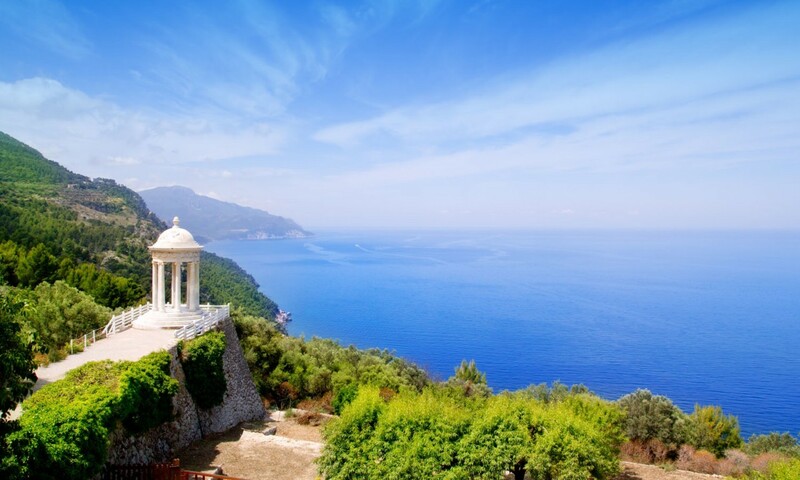 And this island also happens to be a unique place where you will be able to enjoy every time of the year differently. And for today’s ‘plan for a day’ we’d love to recommend a hike we are very fond of and actually enjoy even more in winter. It’s a hike going from Son Marroig to Sa Foradada. 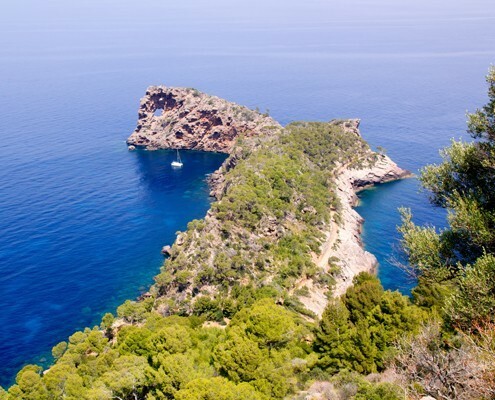 Son Marroig, located next to Deià, is one of the most spectacular viewpoints on the island. You start this hike at the Son Marroig parking. This is where you’ll leave your rental car before starting the way to Sa Foradada. The great thing about this hike is that you just have to follow a wide path (no way to get lost!) and this all happens surrounded by beautiful Majorcan nature and spectacular views. The path starts being an asphalted road, but soon becomes a dirt road. You just have to follow the way ‘down’, direction sea, which will take you a little bit more than one hour. The total duration from Son Marroig to Sa Foradada and back is about 2.30h. After walking for a while, you will see that there is a split on the road. It’s time for you to take a right. After keep walking for another 20 minutes you will see an esplanade; from this point you can choose if going down some stairs to take a bath (which isn’t really possible in Winter, but sure is in Autumn, Spring or Summer) or access the higher part of the land, where you’ll find Sa Foradada. 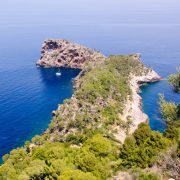 The whole hike is a breath-taking sample of Majorcan nature and its beauty, which is why we highly recommend it! If you have any questions about the hike or need some extra information about the area, don’t hesitate to contact our front desk team at Nakar Hotel, as usual, we’re happy to help!